Sun worshipping, shopping, people watching...what more could you ask for! Make the most of the luxury spas, indulge in the wonderful selection of gourmet dining and blow your budget in the designer boutiques. 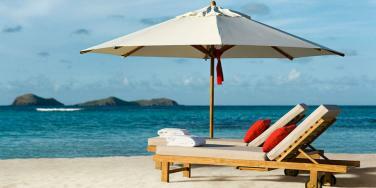 St Barths is not for the budget conscious. Much like the famous French beer...it is reassuringly expensive! Diving - St Barths authorities have stepped in to protect the marine life from overfishing and damaging pollutants so the diving is much improved. There are a number of PADI diving schools and we can help arrange this in advance of your holiday.